finding a line. hand painting with blue paint. Ben Ashworth calls the Finding A Line bowl space a “creative ecosystem.” A place for music, art & skating. A place to express oneself. 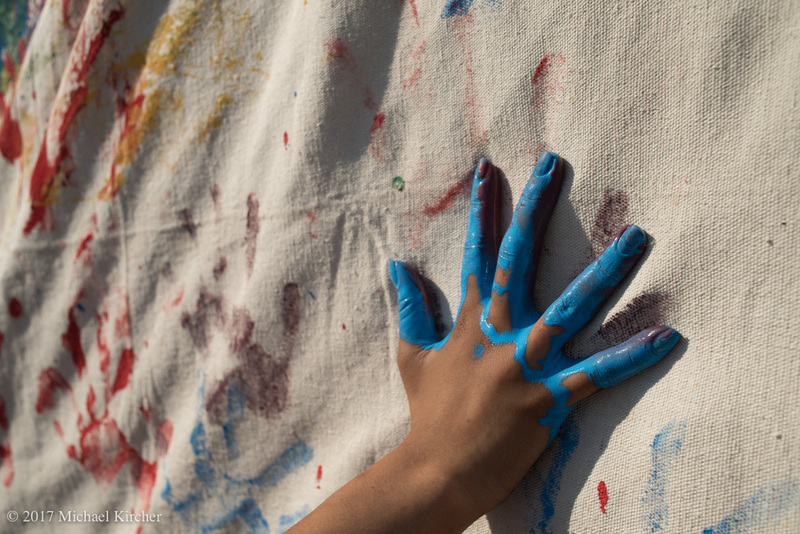 A student from Gallaudet University makes a hand print on a large white canvas at the Finding A Line bowl in DC.